Live Nation Urban Partners With Kirk Franklin For 2nd Annual Exodus Music & Arts Festival! 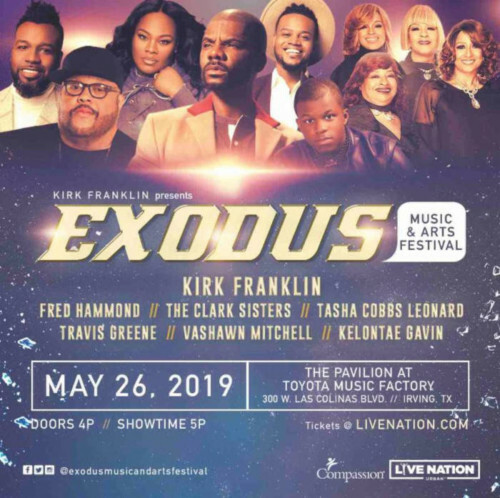 Iconic Gospel artist, Kirk Franklin, continues his partnership with Live Nation urban to host and headline the second annual Exodus Music & Arts Festival in Dallas Texas this year. Taking place on May 26th, tickets will be available as early as January 18th! Additionally, TIDAL subscribers will also have access to an exclusive pre-sale starting today! 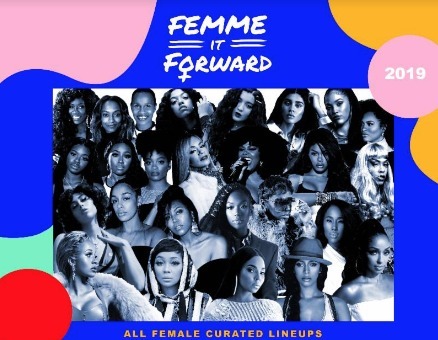 The festival will feature a spiritual lineup with performances by Kirk Franklin, himself, Fred Hammond, The Clark Sisters, Tasha Cobbs Leonard, Travis Greene, Dashawn Mitchell and Kelontae Gavin. 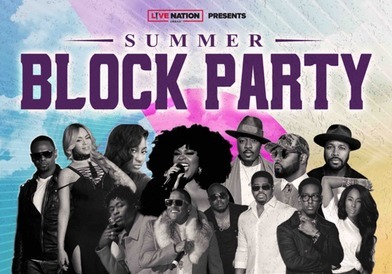 Live Nation Urban Announces 2019 R&B Summer Block Party Festival Series w/ Jill Scott, Anthony Hamilton, Boyz II Men, Mase & More! 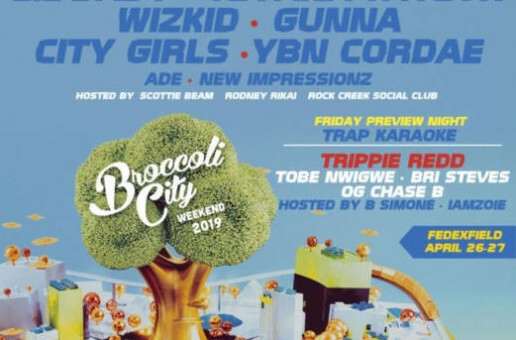 Childish Gambino, Lil Wayne, Ella Mai, 6lack, Lil Baby, Teyana Taylor & More to Perform at Broccoli City Festival ’19!